Ghosn's lawyers contend he never signed written agreements that he was to receive any deferred payments after retirement. TOKYO -- Nissan CEO Hiroto Saikawa and the automaker's former chairman, Carlos Ghosn, considered bringing in a new partner for the alliance with Renault and Mitsubishi Motors last year and discussed possible acquisitions in China. At the time, two months before his arrest in Tokyo, Ghosn was under pressure to make the three-way automobile alliance "irreversible." In an email message to Ghosn seen by Bloomberg, Saikawa wrote that he had been working over the summer "quietly by myself" at Ghosn's request to find a structure that would be "acceptable for both sides." He offered to discuss possibilities with Ghosn. While Saikawa and Ghosn are said to have had differing views on further integration between Nissan and Renault, the email shows they were considering ways to expand the alliance. That could be a factor in Ghosn's defense against charges of financial crimes. Ghosn, who was chairman of all three companies, is now awaiting trial on bail after spending 108 days in a Tokyo prison. He has denied charges and blamed a "plot" against him by Nissan executives trying to prevent closer ties with Renault. In the correspondence, Saikawa raised the possibility of bringing in another automaker as a fourth partner for the alliance. He did not identify any potential candidate. He wrote that expansion opportunities also included "acquisition of Chinese companies" for electric vehicles or connected services. The email casts light on the private discussions between the two men on the way forward for the alliance, the biggest of its kind in the world. Internally Saikawa had argued against a full merger and that Nissan should remain independent or be the dominant force in any deeper union. He told business newspaper Nikkei in April 2018 that Nissan wanted to maintain the three-way alliance. Nissan spokesman Nicholas Maxfield said the company does not comment on, or confirm or deny, the content of internal communications. He said he would not comment on "matters potentially related to pending judicial processes." 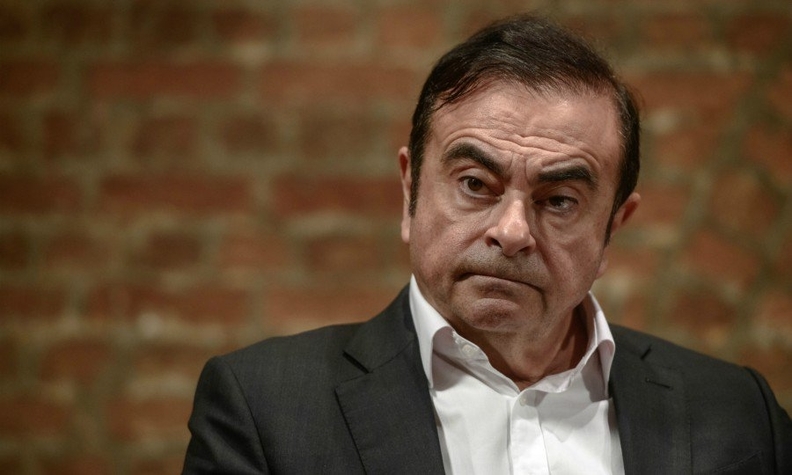 Representatives for Ghosn's family and Renault declined to comment. In the message to Ghosn, Saikawa advised changing the alliance's structure in 2019 "rather than wait." Seven months before, Ghosn had pledged to cement the partnership, a promise that came after France, Renault's most powerful shareholder, had demanded deeper ties with Nissan. Yet a move for closer relations faced resistance from within Nissan, which feared Renault would gain even greater sway. Already their shareholding is lopsided, with Renault owning 43 percent of Nissan compared with the Japanese automaker's 15 percent stake in Renault. Their partnership has been under further strain since Ghosn's Nov. 19 arrest. In considering bringing in a fourth partner for the alliance, Saikawa's email also highlights the pressure automakers are under to grow amid an expensive shift by the industry to electric and self-driving cars. Last week, the Financial Times reported that Renault wants to pursue the idea of a merger with Nissan, before a tie-up with another partner, possibly Fiat Chrysler Automobiles. Saikawa denied any deal-making talks, and said he was unaware of any such move by Renault. The French automaker declined to comment, and the government downplayed the report. In a bid to restore trust that had broken down in the aftermath of Ghosn's arrest, Renault and Nissan last month unveiled a new board to govern their alliance.